Join the Bauer College Alumni Association (BCAA) on May 16 for the final networking breakfast of the spring semester as they host Robert W. “Bill” Gilmer, director of the Institute for Regional Forecasting at the C. T. Bauer College of Business at the University of Houston. Bauer College’s Institute for Regional Forecasting monitors the Gulf Coast business cycle, including the influence of the national economy, energy and global expansion on Houston area growth. 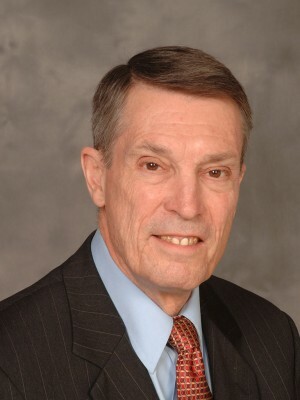 Gilmer joined the Institute after serving for the Federal Reserve Bank of Dallas for 23 years, retiring from the bank as a senior economist and vice president. Before that, he also held the principal economic forecasting position at the Tennessee Valley Authority and worked as a research economist at the Institute for Energy Analysis in Oak Ridge, Tennessee. To register for the May 16 BCAA breakfast featuring Gilmer, click here. For more information on BCAA events, click here. Bill Gilmer is director of the Institute for Regional Forecasting at the C. T. Bauer College of Business at the University of Houston. The Institute monitors the Gulf Coast business cycle, including the influence of the national economy, energy and global expansion on Houston area growth. It also conducts other economic studies of policy significance to the Houston area. Before joining the Institute, Gilmer served the Federal Reserve Bank of Dallas for 23 years, retiring from the bank as a senior economist and vice president. He joined the Houston Branch of the Federal Reserve Bank of Dallas as a senior economist in 1989, focusing on energy markets and regional growth. Gilmer also served the Federal Reserve Bank of Dallas as the officer in charge of the El Paso Branch from 2003-2012, overseeing the bank’s operations in West Texas and New Mexico. Prior to joining the Federal Reserve Bank of Dallas in 1989, Gilmer held the principal economic forecasting position at the Tennessee Valley Authority. He also worked as a research economist at the Institute for Energy Analysis in Oak Ridge, Tennessee and at the Institute for Defense Analysis in Arlington, Virginia. Gilmer holds an M.A. and a Ph. D. in Economics from the University of Texas at Austin. He was born in Amarillo, Texas, and grew up in El Paso where he earned a BA in economics from the University of Texas at El Paso.